Sarah Hurley 365 (Formerly Sarah Hurley Challenges): Documented December - Day Four - Letter to Santa! Letter to Santa! 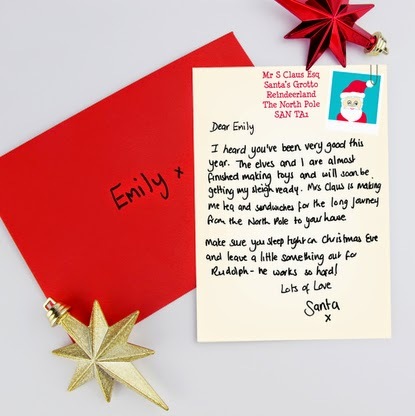 Do your children write letters for Santa? What are you hoping for for Christmas? (it doesn't have to be gifts, maybe a relaxing day? someone to cook the dinner?) what did you used to wish for? how has it changed? So we are onto Day 4 already of our Documented December journey and I'm so loving it! Have you started your Documented December yet? The boys are still dithering about what they want from Santa this year so we haven't started our letters. But I do have a layout from last years Documented December which is a favourite of mine. Sarah had kindly offered to send the boys Letters From Santa *cue stalk the postman*and keeping it a secret from the children was so difficult! Both boys knew almost immediately that something was going on, normally it's shoes off, jackets off and school bags tidied away, a quick change of clothes then snack time, but not today.We have important letters to be opened first! Hats off to Santa he did a great job, so huge thankyou to Santa AGAIN!! These letters are still available to purchase in Sarah's online shop here. Tomorrow we have a little something for you all which I know you will just love!